The online edition of the Everest Herald, a branch of the Wausau Herald in Wisconsin ran an article today that ask readers to find out their Optimism Quotient. It asked forty questions that you were to respond to with usually, sometimes or never. You were then asked to score yourself as follows: two points for usually, one point for sometimes and zero points for never. Those with forty or more points were considered to be as positive as members in the Everest Area Optimist Club; others, not so much. Regardless of your score, the Everest Area Optimist Club used this article to invite test-takers and others to join their club. Here's a quote: If your score was below forty points you might want to consider becoming an Everest Optimist Club member and in a short time your score will probably be above forty. Cute. Friendly. Engaging. Inviting. Fun. Doesn't it make you want to find out more? Have you ever thought about what happens to young adults when they age out of foster care? Did you realize that happens at the adult, but not yet quite mature age of 18? After hearing a presentation from a foster children advocacy group, the Optimist Club of Meridian, Idaho is helping a teenager leave foster care and establish his own apartment. What they require is so little: toaster, can opener, kitchen supplies and pantry staples, towels and bathroom goods, and cleaning supplies. I'm sure that the Optimist Club will do more. It has to be both an exciting and scary time for such young people. Many have bounced from one foster home to another, changing schools and friends along the way. Many look forward to the day they are emancipated; others wonder what is the next step. I'm very touched by this act of kindness and feel there is so much more that an Optimist Club might do such as establish a weekly or monthly meal where the young people can meet with each other and share their experiences. At the same time these young adults might develop friendships with older adults and possibly choose mentors to help them transition into the next phase of their life. We never know when the act of reaching out is most needed. Let's be prepared to give our hands freely. Always. I grew up in the St. Louis area and I can tell you that pork steaks are a Midwestern delicacy. When I saw that the Optimist Club of North County - St. Louis, Missouri was the sponsor of the Third Annual BBQ Kick-off Classic, I wasn't surprised. Coordinated by the Kansas City Barbeque Society, the BBQ Kick-off provided good eats to the visitors and $4,000 in prize money to the chefs in four categories: pork steak, chicken, ribs and brisket. What was in it for the Optimist Club? Proceeds from the event were designated to the Childhood Cancer Campaign. Fun Run! More and more Optimist Clubs are taking a look at healthy activities for kids. A fun run is just the ticket. Over the past weekend, the Optimist Club of Jeffersontown, Kentucky hosted a Free Run for Fun at Blackacre Nature Preserve for students kindergarten through eighth grades. Parents were allowed to accompany their children. Awards were given to the top finishers in all age groups for the 1-mile race. Why not consider adding a healthy lifestyle activity to your club's youth projects. It's a great way to fight childhood obesity and enjoy some fresh air. Will social networking replace traditional networking? Being a part of an Optimist Club is very much like being part of the social networking movement. You gather followers, friends and compatriots (members) by expressing your thoughts in an open forum (meeting). As people listen, they decide if the forum (club) is for them: some leave, some stay, some bring others, some watch and never say a word while others contribute to the conversation and make dreams and desires known (project planning) and work to accomplish their goals (project implementation). Both in an Optimist Club and on a social network, you choose to follow people who entertain, inspire or educate you; people who generally enrich your life. You would never, hopefully, choose to stay in a group that didn't fulfill some of the basic needs of human contact and social interaction. The first choice is where does this fit in my life? The second choice is do I want to create an account? 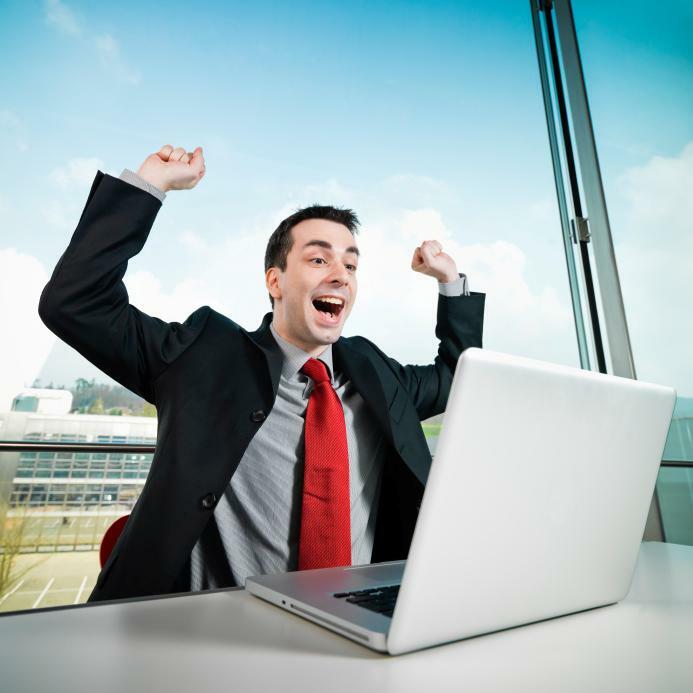 Soon not having an account will be akin to not having an email address or a phone number. The third choice is do I want to participate or watch and take it all in? And finally, you can choose if you will tell others about your choice and ask them if they are interested in getting involved as well. What do you think? Does it sound a lot like joining a service club to you? While some people are more social and better at including others, to some degree we all crave interaction. Social networking tools are a way to reach out anytime of day, from any location, but they do not replace the face-to-face contact that our bodies thrive on. 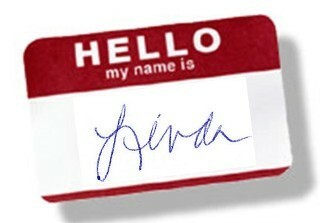 Thank you for joining me on my online social networks. May I introduce you to some more traditional social network-ers at my next Optimist Club meeting? Lunch is on me! Just let me know when you are ready to go. 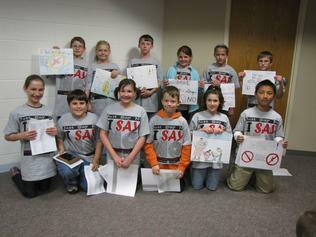 Each year the East Missouri District helps the Optimist Clubs in their jurisdiction relay an anti-drug message to their communities by holding the Just Say No poster contest. Some clubs have participated annually for more than 25 years including the Optimist Club of Maryville, MO. According to an Optimist Club spokesperson, their project is coordinated with the DARE officer for all students in fourth grade. Top honors went to Abbie Loe and Brody Snow. Their posters will advance to Branson, MO for district judging. Optimist International adopted a new program this year for internet safety awareness. Directed at adults, the Optimist International Internet Safety Awareness program informs parents and guardians what they need to do in their home to keep kids away from sexual predators and cyber-bullying. It also teaches lessons about keeping your identity safe online, a message that protects adults as well as children. Like any new program, few have yet to wrap their arms around it because they are unsure how to move forward. Lucky for us, Robert Schiller, a member of the International Committee gave the presentation to the West Bloomfield, Michigan community and they have posted the presentation online for all to see. Optimist International Internet Safety Awareness Program - delivered in W. Bloomfield, MI - courtesy of Civic Center TV. This is an example of how you might present it to your community. Add in elements that are unique to your delivery style and don't be afraid to get yourself out there to speak about this important, timely and relevant topic. Recited at every gathering of Optimist Club members, the Optimist Creed spreads a positive message that inspires us to live well each day. I like the last two lines for they ask you to do more than recite inspirational words. The 11th line asks you to go into the world and demonstrate your positive nature through "great deeds;" hence, the projects that Optimist Clubs do in their communities. The final statement, the 12th line of the original Optimist Creed, insists on personal responsibility. When we accept that we are in charge of our own destiny and when we rise above worry and move forward to action, we will find positive energy and support from those around us, those who wish us well and those who want us to succeed. You will find that support from your friends and colleagues in your local Optimist Club. The Optimist Creed has been adopted by other groups, some who are using its message as a law of attraction: that good things come to those who will them to come to them. That's okay. If we all willed good things to come to us and then took the responsibility and action to make them happen, what a wonderful world this would be. I've written about their collaborative efforts here before and I couldn't miss the chance to highlight this one-day project carried out by the Kiwanis and Optimist Clubs in Sandy, Oregon. They recently helped clean, polish and spruce up the grounds at the Guide Dogs for the Blind Oregon Campus. One can only imagine what that includes and yes, dog-washing was part of the mix. Find new and innovative ways for your Optimist Club to reach out in your community. It's amazing what you will learn and who you will meet. Thanks to the Sandy Optimist Club for the tip. Next to Optimist Clubs, dogs are my favorite thing! Education, safety and wellness are on the minds of the Waterloo Optimist Club in southern Illinois. 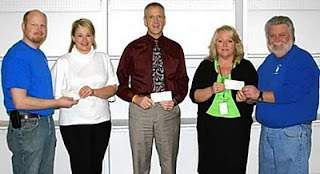 They recently donated $1,800 to furnish a computer lab at Ss. 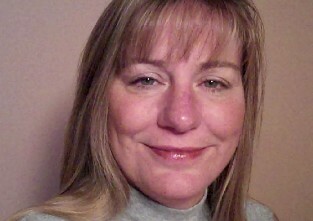 Peter & Paul Catholic School and develop a wellness program in the Waterloo School District. The money was proceeds from the annual Bowling Tournament. This is the second story that I've heard recently that demonstrates what you might do with a bowling tournament. Do you have a project that's different from the norm? Please tell us about it. Picture and story courtesy of the Waterloo Optimist Club. Shown left to right are club secretary Shelby Mathes, Ss. Peter & Paul representative Laura Frierdich, Gibault principal Russ Hart, Waterloo School District wellness coordinator Kelly Lerch and Optimist Club president Ken Valentine. The Optimist Club of Vancouver owns a 42-acre youth retreat along the Lewis River in Washington. It is a rural setting just outside of an urban area. Like most rural settings, if you aren't living on them, out of sight means out of mind. While the Optimist Club owns the camp, they are not the ones who use it and while they were busy doing other Optimist programs, it became overgrown. When elected as president, Gay Enyeart said, "No more. 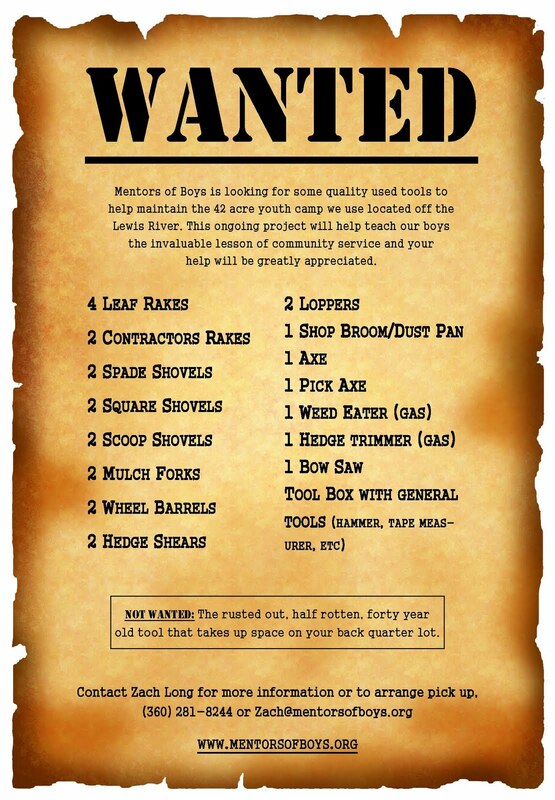 This camp is an asset for us and the community, let's clean it up." Cleaning up the camp is just what the Optimist Club is doing! For several weekends they have been working at the camp. They have enlisted the help of the Mentors of Boys (MOB) Junior Optimist Club and are now inviting the public to join them in their final efforts. If you live or travel to the Vancouver, WA area, please come out on May 8 and give a couple hours of time to this clean-up effort. 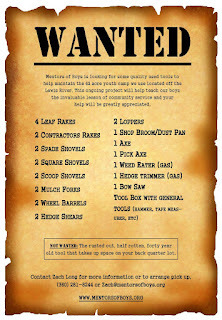 The MOB is also collecting tools and supplies for the project. Please enlarge the flyer for more details. For more information, please contact Gay Enyeart. Let's start the week with a smile, okay? Check out this smart, optimistic kitty and his indulgent companion exploring the mysteries of an iPad. Sunday is a day of rest for many as they take time to reflect and refresh in preparation for the week ahead. Some will enjoy their families, others will find a quiet spot and curl up with a good book and since it is spring, some will head outside to enjoy the rebirth of the season. Happy Sunday. However, a great number of people will open their Sunday newspapers to headlines about volcanic eruptions, earthquakes, health care reform and indictments on Wall Street. They will see articles on unemployment, homelessness, homicide and abuse. Happy Sunday indeed. Agreed. Such stories and people are nice to know. What can you do in your community as an Optimist Club to ensure there is alway positive news to share? Why not take this question to your next Optimist Club meeting and have a thoughtful discussion on how you might be involved in sharing positive words and deeds in your community. Should Optimist Clubs advocate for special interest groups? I haven't decided how I feel about this approach to forming an Optimist Club. During the 2008-2009 administrative year, a pilot club was formed in Faulkner County, Arkansas within a developmental disability agency. Named the Sunshine Optimist Club of Conway, Arkansas, the membership was made up of clients, developmentally disabled adults, who were receiving services from the agency. Eight or so months later the former president of the sponsoring Optimist Club has taken on the oversight of the program within the Independent Living Services Developmental Disabilities Agency. His focus will be advocacy and outreach for developmentally disabled students and their parents. For the most part, I believe that providing individuals of all abilities the opportunity to participate in community service is a good idea. My concern lies in the fact that a separate but equal club could possibly segregate them even more. I also question if this approach is truly separate but equal and I am pretty sure that the members would enjoy a more satisfying experience if they were embraced as fully engaged members of a traditional service club. One of the most attractive features of an Optimist Club is that they are self directed. The members determine how they will serve their community based on the needs that they perceive around them. For a service provider to perform a needs assessment and determine advocacy of their own existing and potential clientele to be their greatest need is not the purpose of an Optimist Club. There are other organizations, including the developmental disability agency itself, who have this charge. Using the Optimist Club affiliation to carry out private interests is distasteful to me. Am I being too harsh? Please share your thoughts. I am always intrigued at their reaction when new people hear the Optimist Creed for the first time. A newspaper reporter recently visited the Thursday Noon Optimist Club of Cedar Rapids, Iowa. He was there to hear from the mayor and expecting tough questions about the recent resignation of the city manager. What he found instead was a room of "upbeat optimists." Journalist Rick Smith wrote in his article, "The Optimists stand and recite a lengthy mission statement after they eat and before the meeting’s featured speaker begins, and the statement is all about being, well, optimistic." His article goes on to describe the mayor's address, the questions posed by the group and in his view he believes the transportation projects and street closures could turn the group into pessimists. Don’t worry; should that be about to happen, I trust they will remember their Creed. Some communities are fortunate to have a very engaged media. In Princeton, Kentucky, radio station WAVJ Lite Rock 104.9 provides service to their listeners by hosting online events for community service and fundraising purposes. During the first first week of May the Optimist Club of Princeton will be the direct beneficiary of their outreach when they host an online auction for the club and some of its youth-serving programs. Even more exciting is all of the public service announcements that the club is receiving up to the event. On-air personalities have been talking up the auction and the Optimist Club since Monday. Audio files of their banter can be found online at http://literock1049.com. Good luck in your efforts, Princeton Optimist Club and thank you WAVJ 104.9. 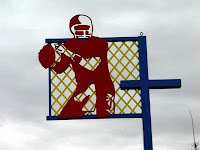 Boise, Idaho is home to the largest football program organized, coordinated and operated by Optimist Club volunteers. The Boise Noon Optimist Club began their program in 1949 and in the late 1990s, they began a joint effort with the City of Boise Parks and Recreation Department to build a true field of dreams. For their part, the City of Boise gave the Optimist Club permission to develop a city-owned park as a recreational facility with a focus on football. In turn, the Optimist Club promised to fund the development and maintenance of the Boise Optimist Youth Sports Facility with 20 football fields, tennis courts, playground, permanent concession stands and restroom facilities, parking facilities, and a catch and release fishing pond. In addition to managing the fields, the Boise Noon Optimist Club recruits and provides 300 coaches and sponsorship for approximately 8,000 football players each year. They have helped start Optimist Club football programs in Emmett, Horseshoe Bend, McCall, Mountain Home and Nampa and include private programs in Kuna, Marsing and Wood River Valley in their schedule. The Boise Noon Optimist Club is nearing completion of the project. For the final touch, the club will develop Alumni Field and create an endowment fund to help provide scholarships so no child will be left out because of an inability to pay. The purpose of this post is to help find and encourage all program alumni to register with the Boise Noon Optimist Youth Football program as past players, cheerleaders, and/or coaches. They want to stay in touch with you to share the success of this public-private venture that demonstrates the value of engaged community members who believe in sharing Optimist Club values with others. Please register as an alumni at this link or share this post with other so they may encourage their friends to keep connected. Picture of original artwork by Ward Hooper. Optimist Club members are opening their mailboxes this week to the latest edition of The Optimist magazine. The Optimist is a quarterly publication of Optimist International. As is appropriate, the current magazine promotes April as Optimist International Internet Safety Month and has a comprehensive advertorial for the Optimist International Convention. Somewhat concerning to me, however, is the front, back and inside cover display persons who appear to be under 30 years old. I am a bit confused; are these students that we are providing services for or are they members? I'm not so sure that I want to be in an organization made up primarily of 20-somethings. I'm not sure that millenials, persons born after 1983, care to be in an organization made up of people their parents and grandparents age. For years we have bemoaned the graying of our service clubs. We have worried that succeeding generations will not step to carry on our legacy. I'm going to say something here that may sound harsh; maybe they won't carry on our legacy and that is okay. Millenial aged individuals are a unique breed. This generation, one that has never known a world without the internet is emerging, graduating from high school and college and going to work to become productive citizens of society. These persons are creating their own jobs and their own service opportunities. They are finding their own way, with more tools and resources than older generations could ever have imagined. The millenials are on their way to creating their own legacy. Service clubs are not going to be saved by an influx of young people who want to carry on business as usual nor are they going to find many who care to spend the time it would take to adapt standard operating procedures to make them more in line with their frame of reference. Therefore, service clubs must embrace their responsibility to educate the public about their role and how an active service club community enhances the quality of life for its people. While this education and awareness process takes, place we must also be cognizant of what it takes for individual clubs to stay alive. What should Optimist Clubs do to ensure their survival? Be relevant to existing members. To borrow an idea from Seth Godin, existing members are your true fans; they will buy what you sell every time you sell it. Be approachable and open to new ideas and people. Individuals have to be personable in their own right; however, the success of the Optimist Club lies in its collective ability to collaborate and innovate. One person can shake hands and make introductions, but it takes more than one person to make new ideas thrive within a group setting. Be authentic. Many have become tired of the overused term 'transparent' where everything that happens within an organization, company, agency or government is bared for all to see. Can anything run efficiently when it is that open? I'm not going to weigh in on that debate here, but rather opt for authenticity. Be what you say you are and don't hold yourself out to be something that you are not. Your honesty will allow new people to choose to be associated with your club. Be positive. Optimist Clubs must live up to their name; they must consistently deliver a positive experience. That does not mean that they can't tackle difficult issues, it only suggests they should do so with a can-do attitude. Optimist International should in turn follow the lead of its Optimist Clubs. The members who work every day to be an asset in their own communities are the ones with the solutions even though they may not realize it themselves. But it is really very simple; in order to survive in business and society we must learn where we fit, find our niche, and take personal responsibility to work to be the best we can be in our our own right. Optimist Clubs are no different, in order to be relevant to existing and potential members, we must stop trying to reinvent ourselves to fit into what we perceive to be someone else's ideal. We must promote and protect the purposes of Optimist International before they are lost in an attempt to deliver the unknown. We must be positive that our way of life will lead to a better world. Ahh....spring break. Students long for the cold months to end so they can get a taste of the warm sunshine and preview the summer hiatus from school that is only about eight weeks away. Parents, however, are not always that enthusiastic because with more and more two-earner households, spring break often means one has to take time away from work to be with the kids. While mom or dad might enjoy the week, they often cannot help but worry about the crimp in the budget or loss of accumulated vacation time that the week off might create. The Optimist Club of Brighton, Michigan offers one day during spring break to help parents out. "Spring Break Day" is a fun field day of activities that includes crafts, gardening, face-painting, swimming, basketball, and safety/first aid stations that provide hands-on learning and entertainment for the children. Parents are welcome, but not required in this day-long activity. The Brighton Optimist Club provides the manpower, activities and supervision for the day. Please click here to see photos from Spring Break Day. 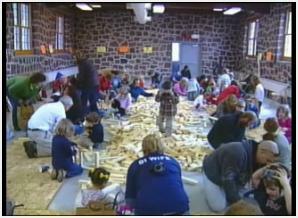 There were 25 people in line when the doors opened at 9:00 a.m. on Saturday for the Children's Festival at Marathon Park in Wausau, Wisconsin. More than 2,000 people visited throughout the day to enjoy this family-friendly activity. From arts and crafts to puzzles and pets, the children get the opportunity to participate with hands-on activities. According to park superintendent Karyn Powers the children enrich their creativity by seeing and feeling things that might be different than what they experience at home. For 37 years, one of the most popular booths has been offered by the Wausau Optimist Club. They offer a Woodworking Booth where kids pick out a small piece of lumber and then go to work hammering nails. 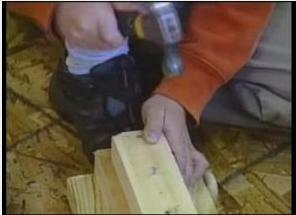 The club demonstrates how to hold the tools and hammer safely so that they will be safe avoid injury. What a great way to engage with the imagination, energy and sensory stimulation of the kids. Thanks to the Wausau Optimist Club for the pictures and story. Economic development is one of my passions. When I saw that the Iowa Economic Development Corporation recently spoke to the Shenandoah Valley Optimist Club, I had to find out more. During a regular meeting, amidst the fun raffle drawings, planning for a blood drive and sharing Optimist Club news, Director Greg Connell enlightened the group about how important industry was to the valley. He spoke in secret economic developer terms about "project d" and how it will require big water demands that the community can meet. He also spoke of a lake project, algae plant and new hotel and parking facilities. There is more to being a social welfare organization than working with children. The only way to be engaged with the needs of the community is to reach out, ask questions and be involved in all aspects of development. Has your club reached out lately? If not, please do so first thing Monday morning. Here's a twist on the usual scholarship offerings. 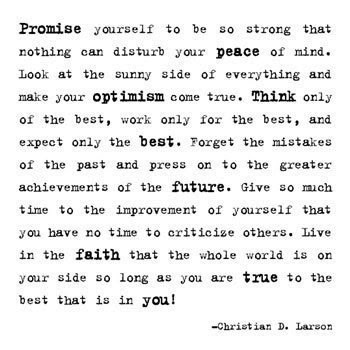 The Morning Optimist Club of St. Cloud, MN sponsors a bowling tournament where junior bowlers compete for scholarships. The twist? There are a few: First, there is a $20 entry fee and bowlers may enter more than once and in different divisions. Scholarships of $150, $100, and $50 are given to the top three bowlers in each category. The St. Cloud Optimist Club has been sponsoring this event for three years. They start with $3,000 and then attract more money from entry fees. Almost $11,000 has been given away so far. According to the Optimist Club spokesperson this is a great event for juniors because "there is a dress code, with a penalty of 20 pins per game for non-compliance: Slacks and collared shirts or USBC shirt; no holes, frays or bad hems; no caps, shorts, skirts, sunglasses, tank tops or sleeveless shirts." The bowling tournament teaches discipline and builds self esteem and sportsmanship while allowing children the opportunity to compete for meaningful prizes. Building character in our young people and helping them reach their potential are some of the reasons to belong to an Optimist Club. It's interesting to learn how bowling can further the Optimist International mission of bringing out the best in children. High school seniors are anxiously looking forward to the end of May, the end of the school year and the beginning of their new lives. Many will go on to college. Some will find jobs. All will have a new reality in a few short weeks. Optimist Clubs provide opportunities for children to develop skills to be good citizens no matter where they go in life. As an extension to that mission, the Daniel Boone Optimist Club of Douglassville, PA has offered a scholarship opportunity for seniors that encourages them to reflect on their personal development. Wouldn't it be grand if our students were encouraged to ask that question more frequently? High-speed internet: is it a right or a privilege? An Optimist International program that gets rather spotty participation is the Communications Contest for the Deaf and Hard of Hearing, but 48 scholarships are available each year through Optimist District competition. What holds clubs and districts back from participating might be the Americans with Disabilities Act. What are the requirements for providing reasonable accommodations for the students who want to participate? For instance, how many interpreters are needed? For that reason, the clubs who participate often coordinate their efforts through schools and utilize the framework that is already in place. Others have begun to work with the Deaf and Hard of Hearing Councils in their state or province for a better outreach to students. And still others, like the Arkansas District - Optimist International, have started Foundations so they have the money available to them to carry out this lesser served population. 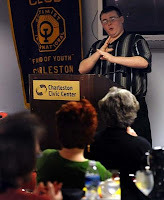 That's why the CCDHH contest at the Optimist Club of Charleston, West Virginia caught my attention. One contestant, speaking in his first oratorical contest spoke of why high speed internet was so important to the deaf and hard of hearing community for not only will they benefit in the same way as an average consumer, the deaf and hard of hearing client will also benefit from enhanced relay systems that power their videophone capabilities. We take so many things for granted. As the United States pushes for more high speed internet access in rural and underserved populations, I hope they remember the silent members of our society no matter where they live. Mitchell Miller took first place for his speech to the Optimist Club where he advocated for high-speed internet in West Virginia. Photo and story idea provided by the Optimist Club of Charleston. "I smile, I dream, I soar" is a wonderful theme for an Optimist Club competition and the Optimist Club of Anguilla is encouraging young artists to create a poster that interprets those wonderful words. Competition is divided into two categories: 11 and under and 12 to 15 and prizes will be awarded at the Junior Octagon Optimist International Ball on April 17. The competition is being coordinated with the Anguilla Department of Youth and Culture. An entry form can be downloaded here. I hope to see some of the entries published online so that I can share them with my readers. Being in an Optimist Club is all about attitude. Smiles, laughter, friendships, networking and doing good for your community and the children is all second nature to an Optimist Club member. If not, the group gatherings aim at changing your attitude for the better. Think about this occurrence: It would have been rather easy to look out at the snow and ice and the blowing wind on Saturday morning before Easter and say every Easter Bunny should be hiding in his rabbit hole and then cancel the Annual Easter Egg Hunt due to inclement weather. But no! The Jerome Optimist Club members are optimists. They do it for the kids. So sixteen members laid eggs and right on time more than 250 children turned out to pick them up. Smiling with the Easter Bunny, President Angie Bridge said, "Now you know why we color the eggs!" When I woke up this morning I thought it was just another morning, but then I was reminded that it was Easter Sunday. You see, yesterday I helped my Optimist Club celebrate the good tidings of the Easter Bunny and enjoyed watching all the children scramble for candy and eggs. That was fun. Anytime we bring laughter and joy to others is a cause for celebration. Earlier in the week, I read an article that proclaimed that Easter has not been commercialized. Apparently the author didn't know about Easter baskets, bonnets, dresses, decorations and flowers as well as the classified advertisements that churches run in local papers to draw worshipers to their door. Pardon my inelegance, but I did smile with irony. All of this reminds me of gatherings where on special occasions and any given Sunday, friends and family would always find their way to my parents' house to share stories of the past and present and imagine the future. There wasn't anything religious in our coming together, but it was very spiritual to bring conviviality to life. We laughed and enjoyed together. I am not a religious person, but I do believe I am spiritual. There is much to be thankful for. There is much joy to celebrate in every day. E. E. Cummings wrote, "The only wasted day is one without laughter." Happy Easter to those who celebrate the occasion and to all others Happy Sunday. May you always find a reason to smile, laugh and celebrate life. 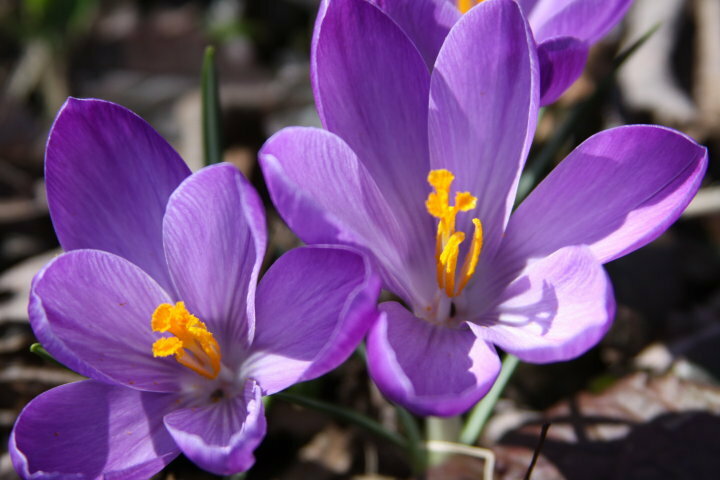 Spring brings sunshine and outdoors activities. Some of the most inspirational outdoor activities I have seen recently are Optimist Club fishing derbies. Also last weekend, the Rim County Optimist Club of Payson, Arizona held their fourth annual fishing festival, a cooperative effort with the parks and recreation department at Green Valley Lake. The fishing is free, the equipment and food are provided and the smiles on the children are big. Please click on the links to enjoy the pictures. 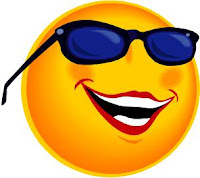 Occasionally someone will email me a story or a picture to let me know of a great project their Optimist Club is performing in their community, but most often I get my ideas from participating in chat rooms, listserves and now the most popular "chatroom" of all, Facebook. However, hearing a snippet of a story is not enough. After I hear or read about something interesting, I research the story. I visit the Optimist Club's website, read any newspaper articles I can find and if needed, I email people to confirm what I have learned. I specifically look for stories that show children are recognized for being good kids. Those stories are getting a little easier to find and I credit that to the ease of the internet. More Optimist Clubs have their own websites and blogs and that makes it easier for freelance writers to find stories, write about them and submit them to online publishers. The use of social networking like Facebook, Twitter, YouTube and LinkedIn has also made Optimist Club stories more accessible. Of course there is sometimes a downside to my plan. It can be labor intensive to find all of these stories; but the reward is knowing that more Optimist Clubs are being recognized for the programs and positive activities they do in their community. That is why I make myself available for Optimist Clubs who want to expand their online presence and engage with their community and other Optimist Club and service club leaders. Send me a message to find out more. Also, please send me your stories. I want to hear from your Optimist Club today. Steve Sinisgalli, President, Optimist Club of Strongsville, Ohio says it all in one line, “Our mission is about using a positive approach to create an optimistic future for our kids." Yes, very simply, that is what being a part of an Optimist Club is all about. The Strongsville Optimist Club provides for their community in similar ways as most Optimist Clubs. They are hosting the Optimist Oratorical Contest this month for middle school students and every year they give away seven $1,250 scholarships to high school seniors. They contribute to a number of youth-serving causes in their community and host their own Respect for Law and Youth Appreciation activities and help send middle school civics students on a trip to Washington, D.C. This year, with the encouragement of President Steve's seventh grade son they are sponsoring a Junior Optimist Club. But one project stood out to me as a little bit different from the others. One of their main causes is the Goals Program that serves children with disabilities in the local preschool building by providing developmentally appropriate curriculum for all children. Currently Optimist Club members are Reading Buddies and mentors, and they are in Phase 2 of their project which has them raising money to provide more services to the program. The mission of the early learning program is “Ensuring All Children Reach Their Fullest Potential" . I can't think of a better partner for an Optimist Club.